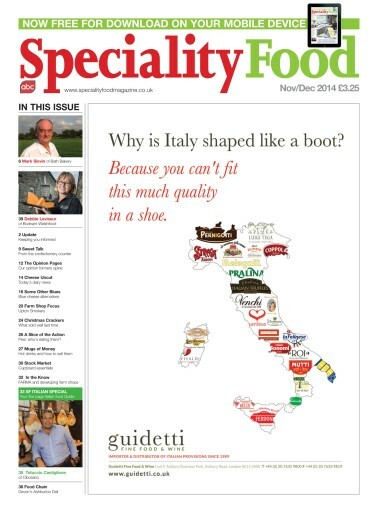 In the November/December issue of Speciality Food we ensure you’re fully prepared for the season ahead with expansive features on hot drinks, pies and Christmas stocking, and tell you all you need to know about one of Britain’s favourite cuisines: Italian. From meat and cheese to pasta and desserts, we've gathered the products you’ll want to stock and advice from the UK’s iconic Italian independent retailers. Plus, explore the world of blue cheese and discover what’s new in the fine food industry.